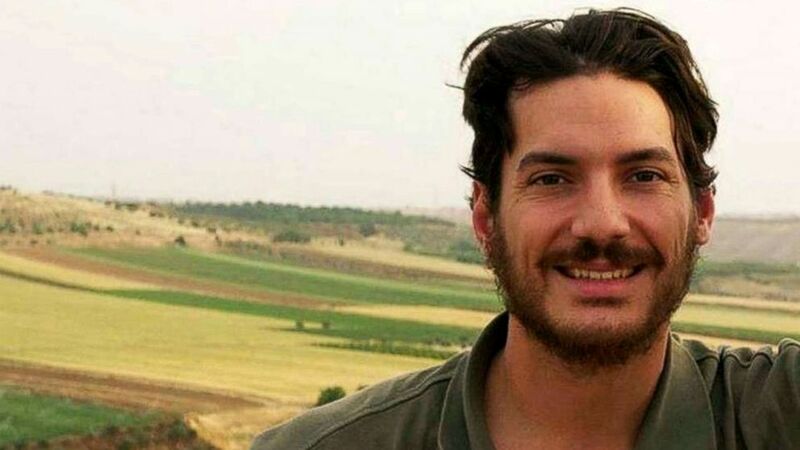 Intelligence gathered over the past 18 months suggests that American journalist Austin Tice is still alive almost six years after he went missing in Syria, ABC News has learned. The assessment comes as the FBI has, for the first time, announced a new reward for information leading to Tice's safe location, recovery, and return — for $1 million. Two senior officials recently confirmed to ABC News that Tice, a journalist, and photographer kidnapped in August 2012, is believed to have survived his captivity despite past U.S. intelligence assessments that he might have died in Syria. A former Marine, Tice had been freelancing for several news outlets, including CBS and the Washington Post, and covering the start of the Syrian civil war. (Fort Worth Star-Telegram/TNS via Getty Images) Freelance journalist Austin Tice, seen in this undated photo, went missing in Syria in 2012 and has not been heard from since. For a long time, the FBI only had one special agent assigned to the case – a person who had been serving in the bureau for less time than Tice had been missing. Some officials privately criticized the FBI for chasing old leads in the case and not devoting more resources to recovering him from what was assessed to be an element of Syrian dictator Bashar al Assad’s regime or his family. By contrast, American hostages of terrorist groups such as Kayla Mueller killed in ISIS captivity, and Caitlan Coleman, who was freed last fall after five years as a Taliban hostage, had teams of FBI agents working their cases. One senior official told ABC News that there were intelligence officers augmenting the FBI’s work and that criticism of their efforts was unfair. Tice, who would be 36-years old now, disappeared just after his 31st birthday while covering the Free Syrian Army, a group of Syrian military officials who had joined the opposition against Assad. A month later, a video was released, showing him blindfolded, removed from a car, and led by armed men up a hill, saying "Oh, Jesus." He has not been heard from since. But the FBI reward has given Tice's family renewed hope: "We are heartened by the recent U.S. Government posting of a reward for information," Tice's parents Debra and Mark Tice said in a family statement to ABC News. "We deeply appreciate every increased effort to hasten the day that we see our son safely home." Debra and her husband Marc Tice have been outspoken in their pursuit to bring Austin home and steadfast in their belief that he remains alive, although they cautioned that as far as they know, the timing of the FBI reward "is unrelated to any specific event," but rather to "the length of Austin’s detention and the Syrian government’s lack of information concerning Austin’s disappearance." The FBI's announcement also garnered praise from others: "The U.S. government must stay focused on efforts to bring Austin Tice home. Offering a reward is an important way to demonstrate that commitment and could help bring forward new information," Joel Simon, the executive director of the Committee to Protect Journalists, told ABC News in a statement. In December 2016, Sen. John Cornyn, R-Texas, said on the Senate floor that then-U.S. hostage envoy James O'Brien had informed him that Tice was alive. "Mr. O'Brien and his team informed me that they have high confidence that Austin is alive in Syria along with other Americans who are being held captive," Cornyn said at the time. The next month, Tice's parents said the Obama administration also told them, "Austin, our son, is alive, that he's still being held captive in Syria." A current U.S. official confirmed recently that the assessment that he is alive has not changed.